Quietly nestled in the hillside amongst lush tropical gardens. If location, tranquillity and comfort are what you are looking for in holiday accommodation, then Water's Edge apartments are for you.Holidaying at the beautiful Water's Edge apartments allows you the best of both worlds. You are within walking distance to the cosmopolitan village of Airlie Beach and all that it has to offer as well as being on the door step of the Whitsunday Islands and the pristine waters of the Great Barrier Reef... the epitome of paradise. 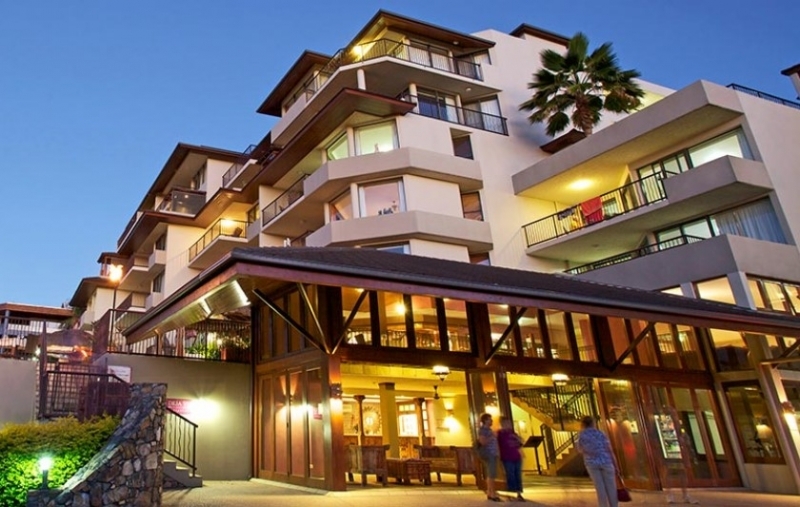 Waters Edge Resort apartments in Airlie Beach, are quietly nestled in the hillside amongst lush tropical gardens, 100 metres from the centre of the bustling cosmopolitan village of Airlie Beach. The Waters Edge Whitsundays Resort exudes style, sophistication and refinement. Professional and personalised service, breathtaking location, exquisite Balinese decor to make Waters Edge the perfect choice for a first class Whitsundays holiday. Waters Edge is uniquely situated just a few minutes walk from the heart of Airlie Beach. Here you will find a cosmopolitan and vibrant town filled with palm-fringed beaches, waterfront parks and alfresco dining restaurants. Shute Harbour - the beginning of many of the day trip adventures and the gateway to the Whitsunday Islands is in easy driving distance or accessible via the bus system. Please note, some apartments require minimum night stays. All cancellations will forfit deposits. Cancellations within 21 days may forfit full amount. We strongly recommend that you have travel insurance.